Really, it’s red violet, or close to that. If I had the Royal Horticultural Society Color Chart (only $270 ….) I could be more precise; but red, definitely not. This is new to the garden, grown from wild-collected seed and purchased as a plant from Timberline Gardens. I also snagged a pure white one, but it was a small plant, and passed away during the winter. Otherwise the desert willow, Chilopsis linearis, has been completely hardy here; I have six or seven. There are always some dead twigs after a hard winter but the plants regrow so quickly, as much as six feet a year, even with zero irrigation. 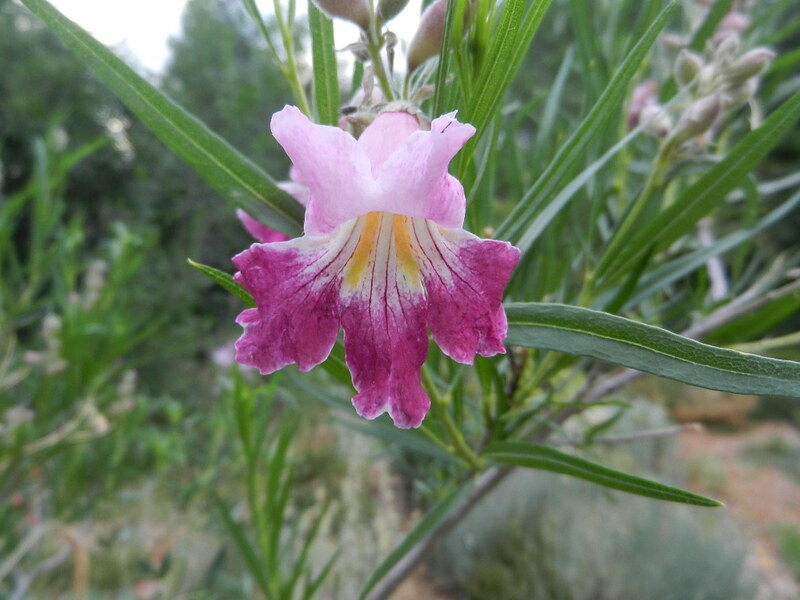 This entry was posted in Uncategorized and tagged Chilopsis linearis, desert willow, Donald Culross Peattie. Bookmark the permalink.